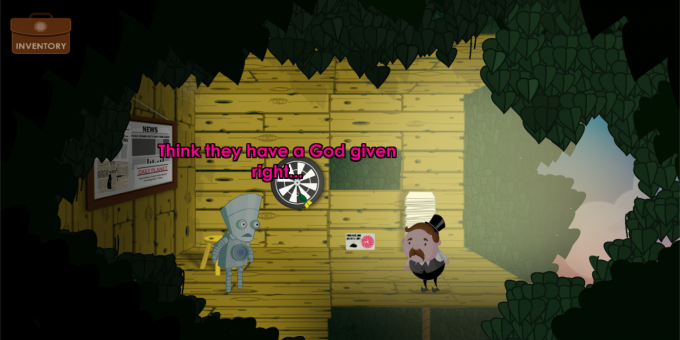 If you loved The Secret Of Monkey Island, Day of the Tentacle, DiscWorld, Space Quest, Trap Door, Phantom Tollbooth and Chorlton and the Wheelies then continue reading my friend…. 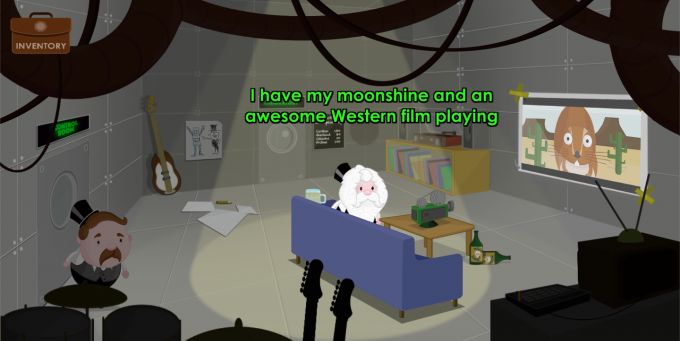 An otherworldly new point and click adventure game with a rich storyline, quirky characters and awesome music. 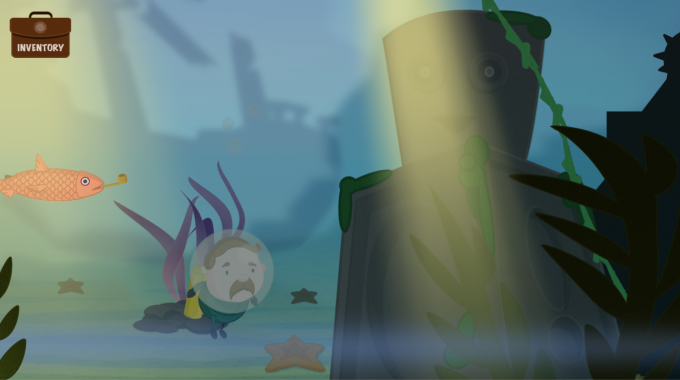 Try it out for yourself by playing the demo featured on the website and Kickstarter page. In case you need any further information, please email me at info@woolleymountain.com and I will answer any of your questions. 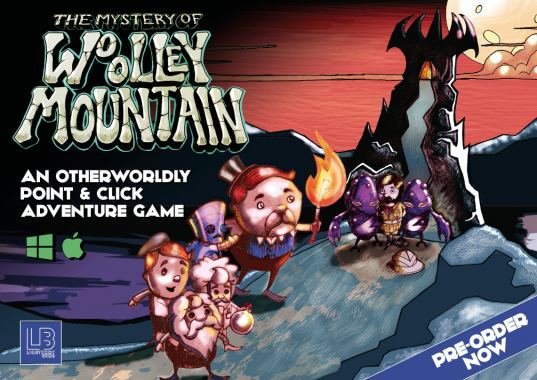 The Mystery Of Woolley Mountain Kickstarter launches on July 20 for Windows and Mac. Playing Granny’s Garden at school on the BBC MICRO, followed swiftly by receiving a Spectrum 48k for Christmas. When I was a wee young thing, my brother and I used to sit in front of our small TV and play on our Spectrum 48k for hours – trying to program in BASIC and inputting 500 line POKEs for extra lives. It was all mindblowing and fun. As you can see, not much to it, and not much logic. But I loved the process. I would make the cassette covers, put it all together and write the instructions for my rubbish games. I loved it. My brother and I would go to the computer shows and just lap up the whole world, religiously buying the magazines and obsess over the preview pages of the upcoming games. I use UNITY and C#. Luckily UNITY reduces the need for lots of coding, but the odd bespoke script still needs adding here and there. Well, as it has only just been funded on Kickstarter, I’m sure the hurdles will soon start to present themselves! 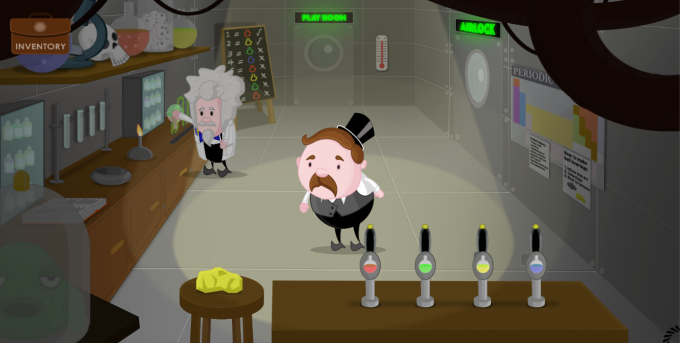 But, in making act 1 of my game, I found that in being a one man new lone developer, I would spend far to much time getting into detail of things, like art or animation, before I had wireframed and got everything working. For act 2, I will plan and ensure it is all working before I then spend days on background art and details! Well, I would love to work in a team on my next game. But either way, I think I would like to make an intelligent platformer like Inside. Spectrum 48k, hands down. And the SNES due to the WOW of Mode 7 and the plethora of amazing games (Super Ghouls N Ghosts, Streetfighter 2). 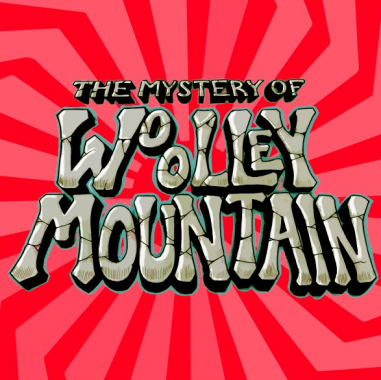 My favourite games of all times are Monkey Island 1 and 2 on PC, Spellbound on the Speccy and Bubble Bobble, and in some ways, THE MYSTERY OF WOOLLEY MOUNTAIN is my homage to point and click adventure games and encapsulates the best bits from these games (or so I’d like to think). My current favourites are Unchartered 4, Inside and HeadLander. Good question! Renegade 3 on the Speccy. It was a HUGE disappointment after the amazing Target Renegade – a serious story of revenge, only to be followed by a time travel romp punching cartoony dinosaurs and knights??? Worst games ever played feature would be a good one! I just read Terrible Old Games You’ve Probably Never Heard Of by Stuart Ashten and that was so funny!